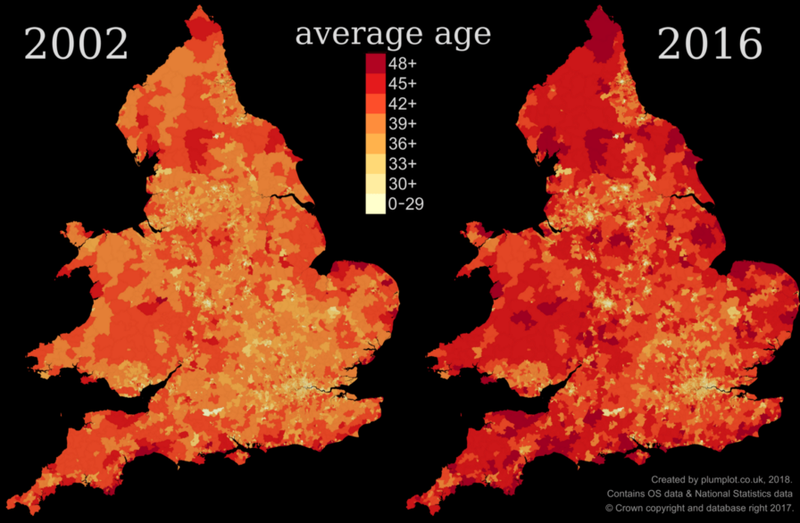 Outside the big cities, England and Wales is aging. From Plumplot: In 2002, 40% of the population was over 44 years old. Fourteen years later it was 43.5%. The share almost equaled to the population below 35, which was 43.7%. Life expectancy also increased.